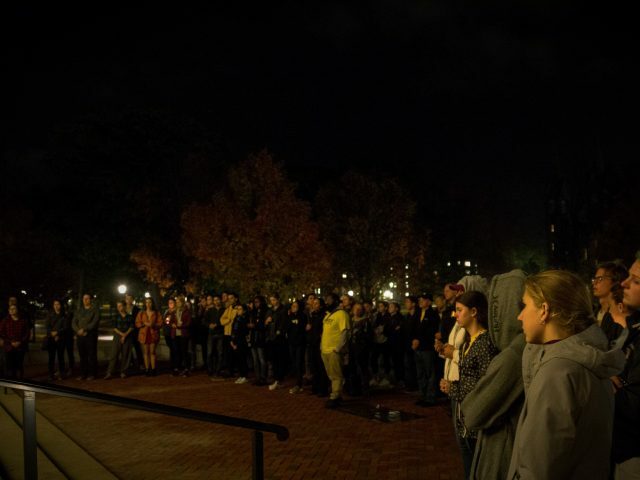 The destruction caused by these events has prompted many Bowdoin student organizations to organize events that raise awareness, funds and support for the communities affected by the widespread impact of natural disasters. 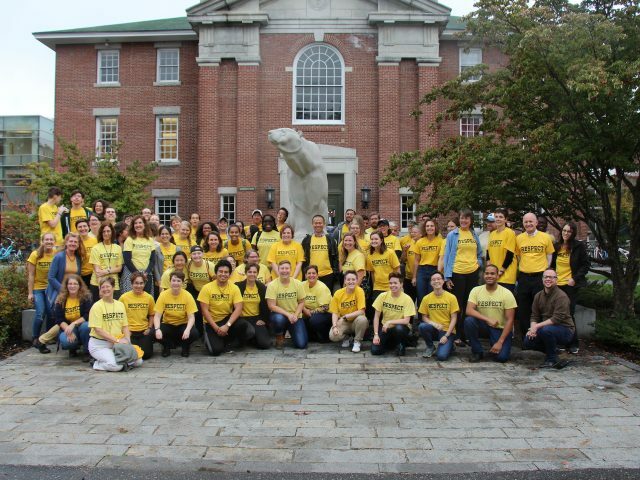 Between student organizations and individual students, the Bowdoin student body has raised almost $4000 collectively. The efforts have ranged from piña colada and bubble tea sales to academic panel discussions. Since September 24, Cindy Rivera ’18, a Latin American Students Organization (LASO) board member, has been working to raise $5,000 for disaster relief efforts. Rivera is raising this money specifically for ConPRmetidos and Oxfam Mexico, disaster relief funds for Puerto Rico and Mexico, respectively. So far, she has raised $2,940. In addition to the GoFundMe page Rivera set up, LASO has raised money through tabling and partnering with Taco the Town, a food truck in Brunswick. Through these two other forms of fundraising, she has raised over $1,000, which will also go to these two organizations. Many other students and campus groups have also been raising money and awareness for natural disaster relief. Sylvia Jimenez ’19 and others organized a supply drive for Unidos por Puerto Rico, an initiative started by the First Lady of Puerto Rico Beatriz Rosselló. The Asian Students Alliance (ASA) raised over $320 through its bubble tea fundraiser last Friday. The students sold bubble tea in David Saul Smith Union and encouraged donations, which went to ConPRmetidos and Oxfam. The McKeen Center, Bowdoin Climate Action, LASO and Peer Health sponsored the Piña Colada Study Break fundraiser in Hawthorne-Longfellow library. They sold piña coladas and encouraged donations, raising over $250 for ConPRmetidos and Oxfam as well. Kevin Trinh ’19, a leader of TEDx Bowdoin and the Weightlifting Club, was inspired to raise money for Puerto Rico after feeling that the country and the cause was not getting enough attention. After raising $400 through the Weightlifting Club’s Lift-a-Thon two weeks ago, he and TEDx Bowdoin’s leaders held a salon last Friday, the theme of which was “In Light of Compounding Natural Disasters.” Students watched videos of TED talks, which dealt with natural disasters and relief efforts. One of these, titled “There’s Nothing Natural about Natural Disasters,” was about the ways governments can utilize predictive technology to better prepare communities for disasters. After watching each video, students engaged in 30 minutes of discussion. On Thursday evening, sophomores Luis Cuervo, Annie Rose, Louisa Izydorczak and Julianna Kiley partnered with the McKeen Center and the Baking Club to host “Hurricanes 101: Perspectives on Natural Disasters” in Burnett House, where students joined a panel of professors to discuss natural disaster relief efforts. Assistant Professor of Anthropology Greg Beckett, Associate Professor of Economics Erik Nelson, Assistant Professor of Government and Legal Studies Chryl N. Laird and Associate Professor of Government and Legal Studies Ericka Albaugh were invited to speak about natural disaster relief from the perspective of their respective disciplines. 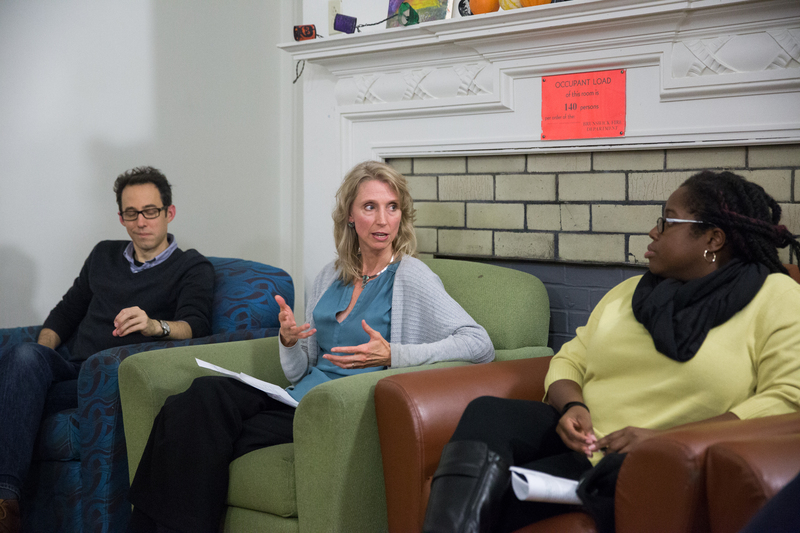 The professors talked about the role played by race, gender, class and inequality in the time it takes to respond to natural disasters, the most economically efficient ways to respond and the reality of the mental and physical trauma that those living in affected zones experience. The panel opened up the conversation to the student audience, creating the dialogue about natural disaster relief that the event’s organizers desired. 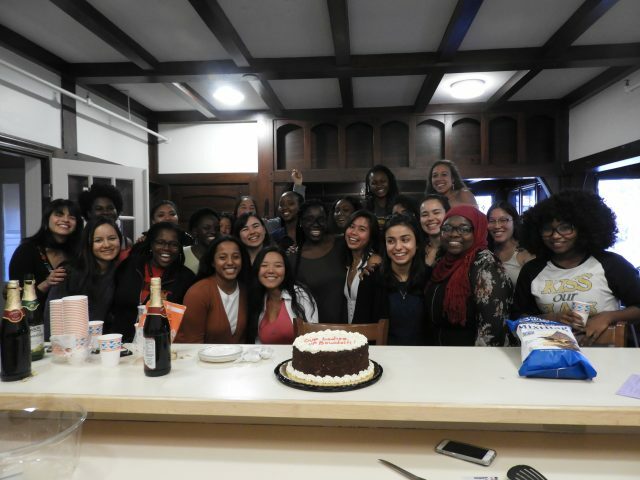 In addition to facilitating discussion, the event was a fundraiser. Attendees had the opportunity to donate to the Spring Branch Independent School District, a school district in Houston affected by Hurricane Harvey. The organizers also partnered with Taco the Town, which will send a portion of its sales to the school district. Cuervo has a personal connection to Spring Branch: he went to middle school there. “I’m from Houston, [and] I experienced all of Hurricane Harvey, so the first thing I did when I came [back] to Bowdoin was see how the McKeen Center could help,” he said. In their efforts to coordinate these events, student groups have used the McKeen Center to provide natural disaster relief as directly and effectively as possible to the affected communities. Assistant Director of the McKeen Center Matt Gee explained that the McKeen Center acts as a resource to provide this guidance, and can help make sure students are choosing reputable organizations, which will facilitate direct support. Given the immense and long-term damage in the affected locations, the efforts of student groups to raise awareness and support for natural disaster relief are likely to continue. On November 11, there will be an a capella concert at 7:30 p.m. in Kresge Auditorium, and on November 17, the Bowdoin Music Collective will host a benefit concert in Jack Magee’s Pub at 7:30 p.m.; those who attend will be encouraged to donate to relief efforts.